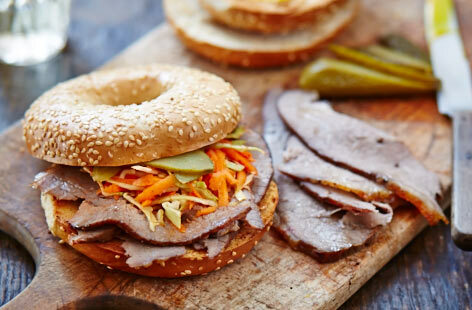 Our delicious variety of bagels and sandwiches are sure to satisfy your taste buds! We are a family-owned and operated bagel shop located in Livingston, New Jersey. At Ike's, we only use the finest ingredients in our homemade and hand rolled and kettle boiled bagels. We have a wide variety of spreads, fresh sliced lox and delicious whitefish. Ike's also has a create your own salad bar, many healthy options and homemade soups! Ike's also has an extensive catering menu. Please call us to accommodate your next event! 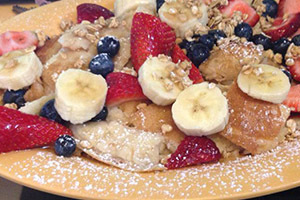 add us on instagram "ikesbagels"
Ike's Bagel Cafe serves the finest bagels and your favorite breakfast and lunch sandwiches. 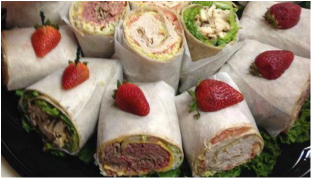 Whether you are grabbing a quick bite on the go, or need platters for a special event, Ike's has you covered!